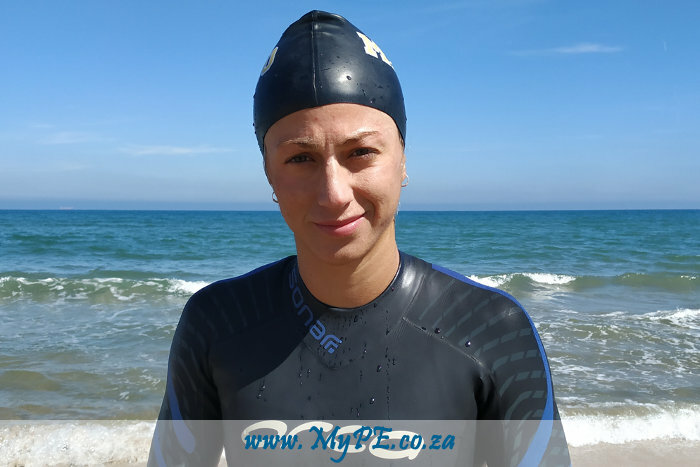 The lady to beat will be 26 year old Spanish swimmer, Andrea Fos Corbera who won the 2018 OWWT Series and arrives in PE on Thursday. The Jendamark Bellbouy Challenge will be the first stop on the international swimming circuit’s Open Water World Tour (OWWT) which kicks off next weekend. Nelson Mandela Bay, home of the Jendamark Bellbuoy Challenge for the past 10 years, will be reaffirming its presence on the international stage by hosting the first ever OWWT event in the Southern Hemisphere. This gives another major boost to the city and the Bay’s reputation of being the destination of choice for ocean events in Southern Africa. Participants will come from far and wide to take part in this year’s showpiece and this is represented in the statistics for the race with 21% of the 2019 events participants coming from destinations outside of Port Elizabeth and a further 2% made up of internationals. Most of the favourites for the race also come out of these two categories. One such participant is Africa’s fastest long-distance swimmer, Tyron Venter. Venter is a world record holder in no less than FIVE different categories and will most definitely be stating his claim for the overall prize on Saturday 13 April. However, with all these visitors to the shores of the Bay one must not overlook the local challengers as there are a number of top Port Elizabeth-based swimmers who will be fighting it out for the R10,000 first prize, the world class medals and the wonderful locally crafted trophy. Another great feature of the Jendamark Bellbuoy Challenge is the equal distribution of the prize purse. The R76 000 will be split evenly between the men’s and ladies categories. For the 200 competitors taking part in the Indian Ocean’s premier swim there will be a meet and greet at News Cafe on Friday where officials will go over safety precautions and participants will be able to collect their race packs. The gun will go off at 8:30 on Saturday morning for the start of the 10th Jendamark Bellbuoy Challenge and should make for some interesting viewing.